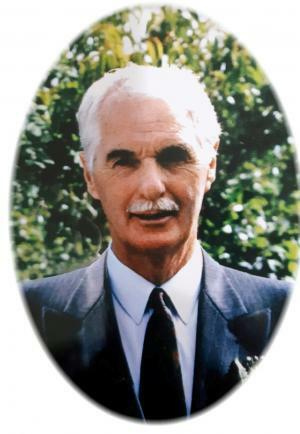 In loving memory of Leo Joseph Foley who passed away peacefully at home in Kentville, Nova Scotia on April 13, 2019 at the age of 84 years. He was born in Little Barachois, Placentia Bay, NL to John and Mary Foley on May 29, 1934. He was the last surviving member of a family of 11 children. Leo/Dad/Pop began his mining career in Schefferville, Quebec in the late 1950's, eventually marrying the love of his life, Helen Smith, and moving to Labrador City to start a family. He began his career with the Iron Ore Company of Canada as a heavy equipment operator, ultimately taking on supervisory roles until his retirement in 1999. He was fortunate in that he loved his job and was a loyal employee to the company he worked for, for so many years. He always appreciated the quality of life accorded to him and his family as a result of living and working in Labrador City. Leo is survived by his wife of 55 years, Helen; daughter, Janine (Lyle); sons, Kevin (Kelly), John (Jackie), and Ken (Kate); grandchildren, Jeremiah, Julia, Alex, Lucas and Ryder; step-grandchildren, Alyssa, Jenna, Gabe and Jayden. Leo was a selfless husband, father and grandfather who always put the needs of his family ahead of his own. He derived much joy from time spent with family and took great pride in their accomplishments. We were lucky to have him in our corner! While he spent his retirement years in Kentville, he always held a special place in his heart for Labrador City and its residents and he looked forward to receiving his weekly copy of The Aurora that arrived every Monday in his mailbox. Leo was an avid gardener who took great pride in the care and maintenance of his property and his green, weedless lawn was one of his many legacies. We loved him dearly and will miss him forever. A visitation will be held on Wednesday, April 17, 2019 from 6:30-8 p.m., with prayers to be held at 6:30 p.m., in the White Funeral Home, Kentville. Donations in Leo's memory can be made to the Valley Hospice Foundation in Kentville, NS. A memorial service will take place in Newfoundland at a later date. Arrangements have been entrusted to the White Family Funeral Home and Cremation Services, Kentville. I'd like to leave an afterglow of smiles when the day is done. of happy memories that I leave behind when day is done. A memorial service will take place in Newfoundland at a later date.